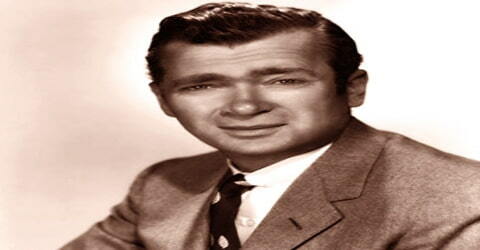 Buddy Ebsen – American actor and dancer. Name: Christian Ludolf Ebsen Jr.
Father: Christian Ludolf Ebsen Sr.
An American actor, dancer, artist, and writer, began his career dancing with his younger sister, Vilma, in nightclubs, in vaudeville, on Broadway, and in a movie before going it alone in a number of musicals, Buddy Ebsen was born as Christian Ludolf Ebsen Jr., on April 2, 1908, in Belleville, Illinois, the U.S. His most famous role was as Jed Clampett in the CBS television sitcom The Beverly Hillbillies (1962-1971); afterward he starred as the title character in the television detective drama Barnaby Jones (1973-1980). Ebsen also portrayed the title character in the detective series ‘Barnaby Jones,’ created by Edward Hume, for almost seven years on CBS. Ebsen started his career as a dancer on the Broadway and also formed a vaudeville act with his sister Vilma Ebsen. The siblings then moved to Hollywood in search of better prospects in the show business. However, Vilma did not continue her career for long and eventually retired from the show business after featuring with her brother in their first MGM movie ‘Broadway Melody of 1936’. Ebsen then featured in many other movies including ‘Born to Dance’ and ‘Broadway Melody of 1938’ alongside Frances Langford and Judy Garland. After establishing himself as a successful film actor, he ventured into television as well and appeared in several popular TV shows. Ebsen was the original choice for the role of the Tin Man in The Wizard of Oz, but fell ill due to the aluminum dust in his makeup and was forced to drop out. He appeared with Maureen O’Hara in They Met in Argentina (1941) and June Havoc in Sing Your Worries Away (1942). In Breakfast at Tiffany’s (1961), he portrayed Doc Golightly, the much older husband of Audrey Hepburn’s character. Before his starring role in The Beverly Hillbillies, Ebsen had a successful television career, the highlight of which was his role as Davy Crockett’s sidekick, George Russell, in Walt Disney’s Davy Crockett miniseries (1953-54). Buddy Ebsen, the original name Christian Rudolph Ebsen, Jr., was born in Belleville, Illinois, the U.S. on April 2, 1908, to Christian Ludolf Ebsen Sr. and Frances. His father was Danish and a choreographer by profession and his mother, who was Latvian, used to paint. Ebsen was the middle child with two sisters including Vilma Ebsen. Ebsen was raised in Belleville until the age of 10, when his family moved to Palm Beach County, Florida. In 1920, Ebsen and his family relocated to Orlando, Florida. Ebsen and his sisters learned to dance at a dance studio his father operated in Orlando. During his high school years, Ebsen became a member of John M. Cheney Chapter, Order of DeMolay. His involvement as a teenager led to his being recognized by DeMolay in adult life with the award of the Legion of Honor Degree, and later by induction into the DeMolay Alumni Hall of Fame. In 1926, Ebsen graduated from the Orlando High School and enrolled in the University of Florida in Gainesville, Florida to pursue a career in medicine. A year later he joined the Rollins College in Winter Park, Florida but had to drop out at the age of 20 due to financial problems. He then took up dancing and singing as a way of making his living. 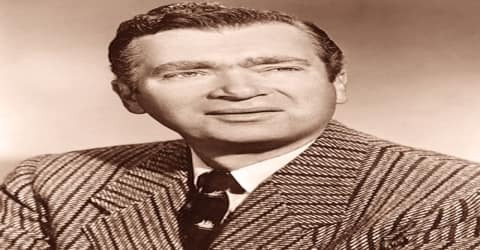 Buddy Ebsen was married three times in his life. Ebsen was first married to Ruth Cambridge in July 1933 and they had two daughters. The marriage ended in divorce in January 1945. In 1945, Ebsen married fellow lieutenant Nancy Wolcott. They had four daughters, including Kiki Ebsen, and a son. This marriage, after 39 years, also ended in divorce in 1985. Ebsen’s last marriage was to Dorothy Ebsen and the couple remained together until his death in 2003. Throughout his life, Ebsen had many interests. He became a folk artist and an avid coin collector, co-founding the Beverly Hills Coin Club in 1987 with actor Chris Aable. Ebsen’s collection included many rarities such as a four-dollar gold piece worth $200,000. The coin was sold in several auctions both before and after his death. As Ebsen entered his nineties, he continued to keep active, and two years before his death, his bestselling novel Kelly’s Quest was published. Ebsen wrote several other books including Polynesian Concept (about sailing), The Other Side of Oz (autobiography) and Sizzling Cold Case, a mystery based on his Barnaby Jones character. 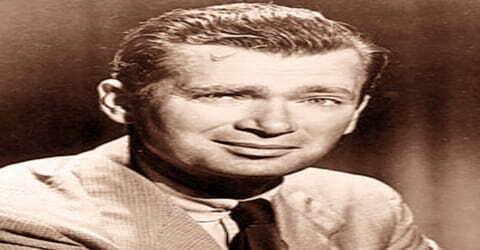 Buddy Ebsen left Orlando in the summer of 1928 to try his luck as a dancer in New York City, arriving with only $26.75 in his pocket and worked at a soda fountain shop. His sister Vilma Ebsen and he performed as a dance act in supper clubs and in vaudeville they were known as “The Baby Astaires”. On Broadway, the Ebsens appeared as members of the chorus in the musicals Whoopee, Flying Colors, and Ziegfeld Follies of 1934. A rave review from New York columnist Walter Winchell, who saw them perform in Atlantic City, New Jersey, led to a booking at the Palace Theatre in New York City, the pinnacle of the vaudeville world. Ebsen and his sister were offered a chance to appear for a screen test and eventually were offered a two-year contract by Metro-Goldwyn-Mayer with a further two-year extension offer. The contract earned them each $1,500 per week at that time. After relocating to Hollywood, the siblings made their film debuts in the 1935 film Broadway Melody of 1936. This was to be Vilma’s only film a contract problem prevented her from making other films and she soon retired from show business. Ebsen went on to appear in numerous films, both musicals and nonmusicals, including the 1936 Born to Dance, the 1936 Captain January (in which he danced with Shirley Temple), the 1938 Broadway Melody of 1938 (with Judy Garland as his dance partner), and the 1938 The Girl of the Golden West. Ebsen partnered with actresses Eleanor Powell and Frances Langford, among others, and also danced solo. Ebsen was noted for his unusual, surreal dancing and singing style; for example, his contribution to the “Swingin’ the Jinx Away” finale of Born to Dance. His abilities might have been a reason filmmaker Walt Disney chose Ebsen to be filmed dancing in front of a grid as an aid to animating Mickey Mouse’s dancing in Disney’s 1929 to 1939 Silly Symphonies animated short films. Ebsen featured in two more MGM films before rejecting Louis B. Mayer’s offer of an exclusive contract with MGM. However, Ebsen did accept an offer to work in MGM’s 1939 film ‘The Wizard of Oz’ but was forced to leave the production due to health problems caused by the aluminum dust used in the makeup. After the dispute with MGM, Ebsen saw his acting career hitting rock bottom with no solid offer coming his way. He became interested in sailing and his seamanship earned him an opportunity to teach the subject to United States Navy officer candidates during World War II. He later made a comeback to acting with a television role in 1949 after repeatedly being rejected for an officer’s commission in the navy. During the 1940s, Ebsen toured again as a dancer and performed in shows throughout the country. The New York Times reported Ebsen’s recollection of that time, “I probably enjoyed show business the most when I was doing plays like The Male Animal and Good Night, Ladies, when people would lay down their money and laugh and you’d see them walk out happy.” Ebsen served a three-year tour of duty with the Coast Guard on the U.S.S. Pocatello in the North Pacific. In his downtime while at sea, he wrote sketches for variety shows and musicals that he helped stage. Ebsen made his television debut on an episode of The Chevrolet Tele-Theatre in 1949. This led to television appearances in Stars Over Hollywood, Gruen Guild Playhouse, four episodes of Broadway Television Theatre, Schlitz Playhouse of Stars, Corky and White Shadow, the H.J. Heinz Company’s Studio 57, Screen Directors Playhouse, two episodes of Climax!, Tales of Wells Fargo, The Martha Raye Show, Playhouse 90, Westinghouse Desilu Playhouse, Johnny Ringo, two episodes of Bonanza, three episodes of Maverick (in which he portrayed assorted homicidal villains), and 77 Sunset Strip. Ebsen received wide television exposure when he played Georgie Russel, a role based on a historical person and companion to frontiersman Davy Crockett, in the Disneyland television miniseries Davy Crockett (1954-1955). In the mid-’50s, Ebsen returned to Hollywood. A director recommended to Walt Disney that Ebsen play Davy Crockett in Disney’s weekly special Davy Crockett. When Fess Parker was chosen instead, Ebsen was given the role of Crockett’s friend, George Russel. Nearly forgotten for more than 20 years, Ebsen became a hero to children throughout the United States. Children everywhere played at being Crockett and Russel, wearing coonskin hats and singing the show’s theme song. Over the next four decades, Ebsen became very famous with his work in several television shows. In 1962, he started appearing in the American sitcom ‘The Beverly Hillbillies’ which was originally broadcast on CBS between 1962 and 1971. 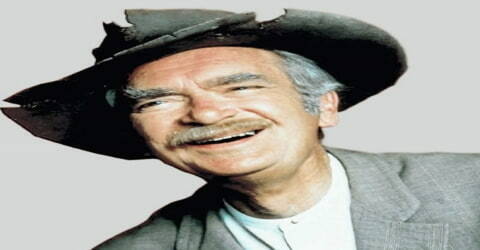 He played the character of ‘Jed Clampett’ which made him very famous among the audience. From 1961 to 1962, Ebsen had a recurring role as Virge Blessing in the ABC drama series Bus Stop, the story of travelers passing through the bus station and diner in the fictitious town of Sunrise, Colorado. Robert Altman directed several episodes. Arthur O’Connell had played Virge Blessing in the earlier film version on which the series was loosely based. Ebsen also appeared as “Mr. Dave” Browne, a homeless hobo, on The Andy Griffith Show opposite Ron Howard, and as Jimbo Cobb in The Twilight Zone episode “The Prime Mover” (season 2, episode 21) in 1961. 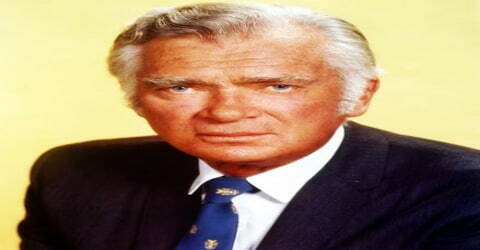 Two years after the conclusion of ‘The Beverly Hillbillies’, Ebsen signed a contract to play the title character of the detective series ‘Barnaby Jones’ (1973-1980). This was his second longest-running television show and he played the lead role for its entire length of 8 seasons and 178 episodes. Ebsen continued to work until 1999 and appeared in several television shows including ‘Matt Houston’, ‘Stone Fox’, ‘CBS Summer Playhouse’, and ‘Burke’s Law’. Never one to sit still, Ebsen occupied himself in his later years with writing, painting, and running his business that manufactured ocean–going catamarans. He authored a popular novel in 2001 called Kelly’s Quest as well as his biography, The Other Side of Oz. 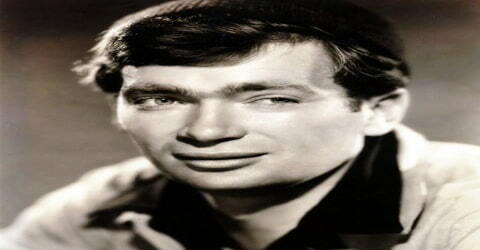 Buddy Ebsen has a star on the Hollywood Walk of Fame at 1765 Vine Street, and a star on the St. Louis Walk of Fame. Buddy Ebsen died of respiratory failure at Torrance Memorial Medical Center in Torrance, California, on July 6, 2003, at the age of 95. Upon his death, his body was cremated and his ashes were scattered at sea. 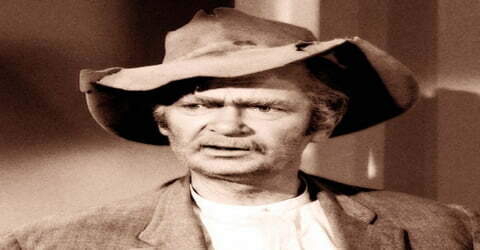 In his seven-decade-long career, Buddy Ebsen achieved the maximum popularity when he played the character of ‘Jed Clampett’, a mountaineer with an easygoing attitude, in the long-running CBS sitcom ‘The Beverly Hillbillies’. When the makers of the series sent him an offer to appear as one of the lead characters on the show, he was actually thinking of retiring. However, he changed his mind after reading the script and went on to appear in the show for its entire duration (1962-71). This was the longest-running show he had acted in over the course of his career. People reported that Ebsen, referring to the common refrain uttered by ‘Jed Clampett’, once said, “I can walk on any stage in the English-speaking world and say, ‘Well, doggies!’ and I’m home free.” He played the title character of ‘Barnaby Jones’ in the popular detective series of the same name between 1973 and 1980. He earned a lot of popularity for this role despite the critics not being much enthusiastic about his character at the beginning of the show.